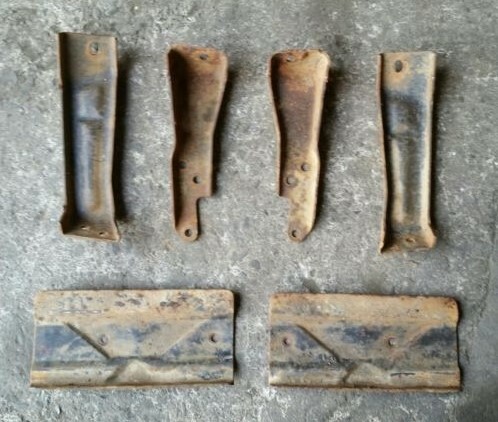 ﻿ 1973-1987 CHEVY GMC TRUCK REAR STEPSIDE BUMPER BRACKETS | Vintage Chevy Trucks - We are the largest parts supplier in the world for your 1967 - 1972 Chevy or GMC Truck! 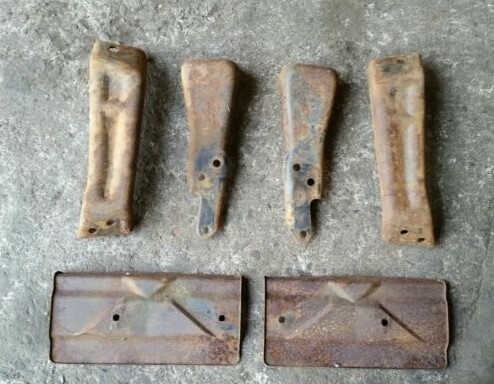 USED SET OF ORIGINAL, OEM GM REAR STEPSIDE BUMPER BRACKETS WITH GRAVEL SHIELDS. HARD TO FIND! IN GOOD USUABLE CONDITION, NO THROUGH RUST, CAME OFF A CALIFORNIA TRUCK! FITS 1973 THROUGH 1987 CHEVY/GMC 2WD, 4WD STEPSIDE TRUCKS ONLY. KEEP YOUR TRUCK GM!